Main rotor with transmission gearbox. 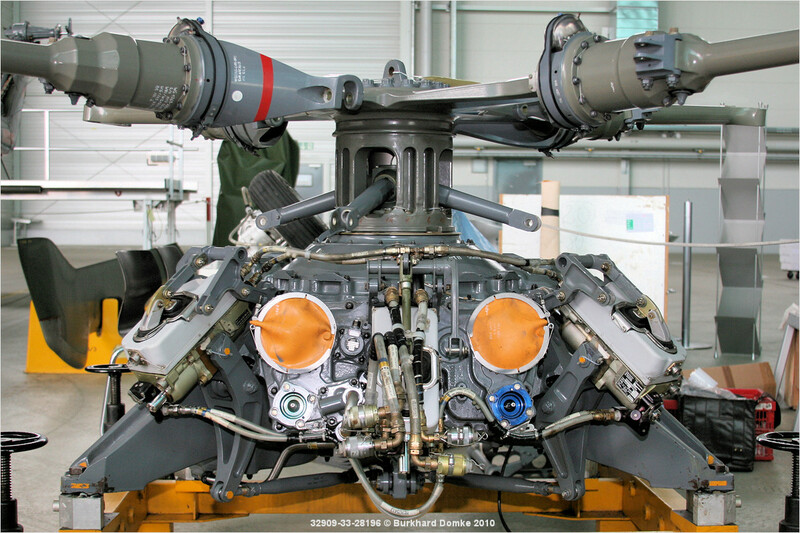 Blade pitch is controlled via the 'spider' arms that protrude out of the main rotor mast below the rotor hub. The central shaft of the 'spider' is running down the mast through the main gearbox where three hydraulic actuators (light grey casings) connect to its lower end.